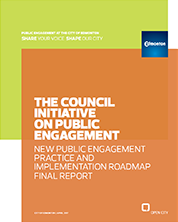 What is the Council Initiative on Public Engagement? Public Engagement, Civil Society, Direct Democracy, Collaborative Governance. When we talk about public engagement what do we mean? 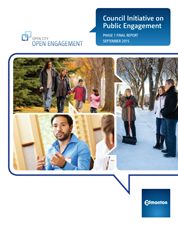 If we agree that public engagement is important, what does good public engagement look like? To help answer these questions and to create a process that would improve public engagement in Edmonton, City Council created the Council Initiative on Public Engagement. Launched in 2014, this initiative is led by Councillors Ben Henderson, Michael Walters and Andrew Knack. 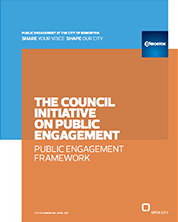 More than 1000 people from diverse Edmonton communities have participated in more than 40 workshops drilling into critical discussions about how public engagement with the City of Edmonton can be done better. Recruitment is currently underway for public and administrative members of the Guiding Coalition. 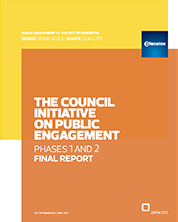 The work of this group will represent continued progress on the Council Initiative on Public Engagement, and the final step in the implementation of Action Plan item 2.3 from the New Public Engagement Practice and Implementation Roadmap Final Report. 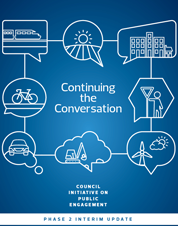 This Phase 2 Interim Update report on the Council Initiative's process and achievements (from the beginning of Phase 2 in fall 2015 to fall 2016) contains an outline of next steps. These five strategic areas provide a foundation for the working groups and Phase 2 of the Council Initiative on Public Engagement. The Guiding Coalition for Public Engagement fulfills the mandate of the Council Initiative on Public Engagement. 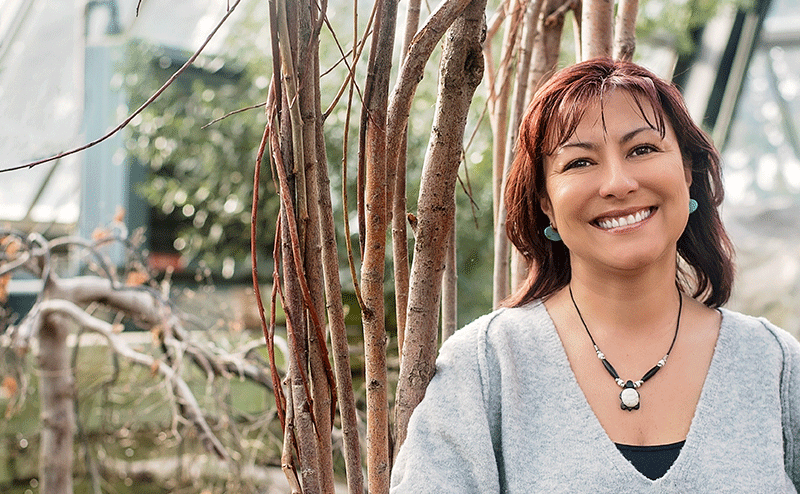 Celebrating everyday leaders who are passionate about building a great city.